These innovative mobile apps differentiate your business from your competitors. The experts at Extendas develop user-friendly apps, which seamlessly integrate with the FuelOffice back office system, the FuelPortal cloud platform and the SPIN social intelligence platform. Our app developers deliver native applications for iOS (iPhone and iPad), Android (smartphone and tablet) and Windows Phone. Most of our self-developed mobile apps are standard apps that can be generically applied in the petrol market. For example loyalty apps, which increase customer loyalty in relation to your forecourt shop. 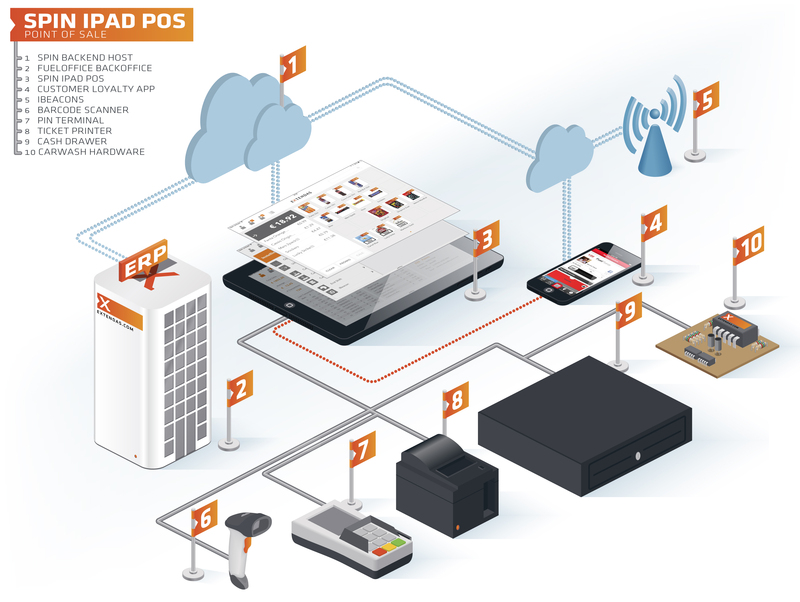 Or iPad POS, the revolutionary cloud-based checkout system that works via an iPad. Our other apps are based on customisation. These are unique apps that meet the strict requirements and wishes of you and your customers. We developed, for instance, a specific app that allows representatives to retrieve customer information via their smartphone and place product orders. Extendas app developers are always at the cutting edge of innovation. They have to be: technological development is taking place at an extremely rapid pace. A customer-friendly app expands multi-channel access to your organisation. Apps are a new way of building the relationship with your customers. In addition to these apps, Extendas offers revolutionary back office products, services and cloud solutions.